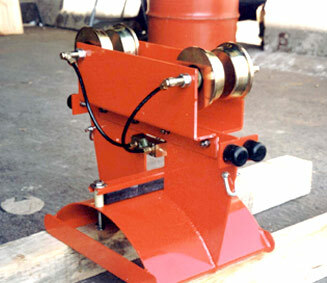 Our festoon systems are manufactured using standardized components. 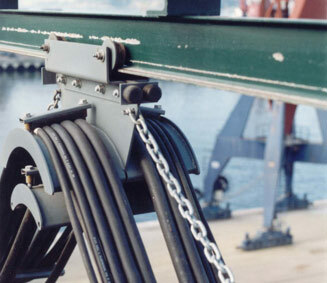 A festoon system is composed by a rolling body, cable laying body, and a final piece. 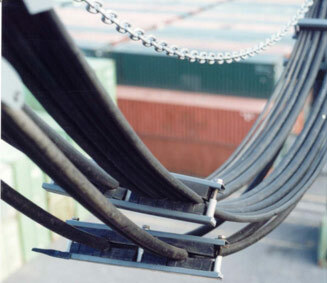 In cases where there is more than one cable level, an intermediate piece must be installed. 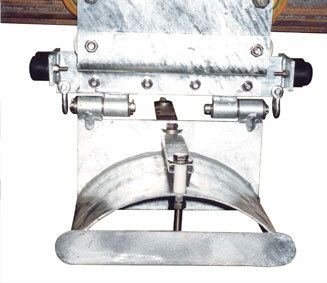 In cases where the trolley is reinforced, reinforcing bolts are installed. 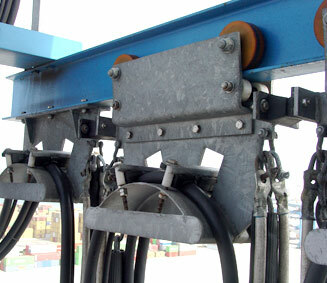 Additional supplied components: Traction chains, dampers, terminal block boxes. 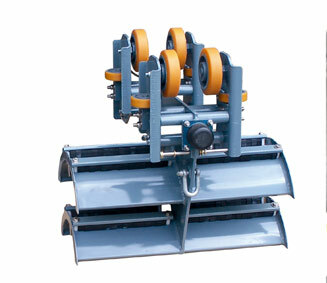 Supplied with driving wheels and independent pulley for each cable. 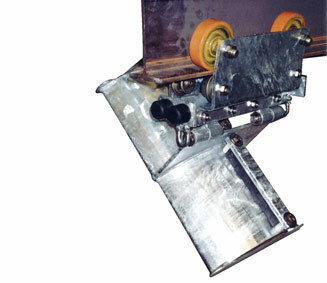 Supplied in hot dip galvanized, stainless steel and Nylon depending on the application. 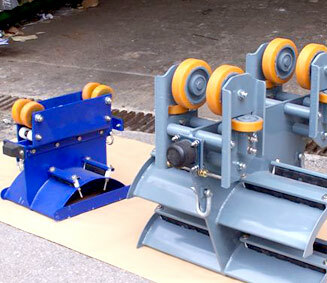 Manufacturers for material handling equipment iron and steel mills, mines, shipyards, electrical installation firms, whole salers for electric components, ports, container terminals.